The 123-GO-30 sling backpack fits a DSLR with battery grip & long-range zoom lens attached as well as, 5-6 lenses, flash + personal gear.. This bag is super light, features TST structural protection and provides ultimate freedom of use in three carrying possibilities, morphing rapidly from sling to backpack and back again. The large top compartment will hold personal effects or additional gear, and the internal and external pockets will allow you to organize your personal effects as efficiently as your photographic gear. 123-GO is the basic product family in Kata's Sling Backpack range, for a similar but more advanced product Kata's 3N1 family is available to offer more features. The 123-GO-30 sling backpack fits a compact camcorder with accessories such as chargers and cables + personal gear. 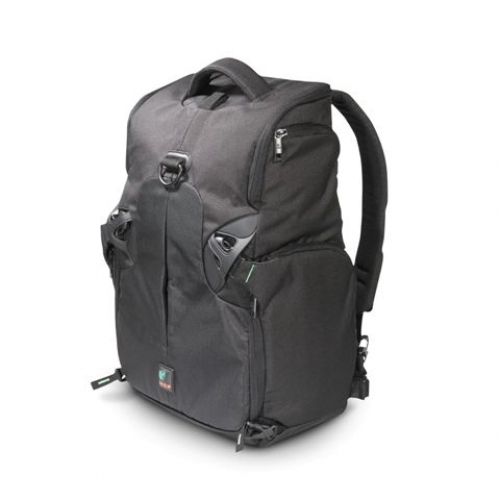 This bag is super light, features TST structural protection and provides ultimate freedom of use in three carrying possibilities, morphing rapidly from sling to backpack and back again.